Barracuda offers powerful tools to detect threats of all kinds, from latent threats and vulnerabilities already lurking in your network, to advanced threats actively attacking your systems. Email Threat Scanner is a free online service that detects latent threats lurking in your Office 365 mailboxes. Barracuda Vulnerability Manager scans your public-facing web applications to find any unpatched vulnerabilities. 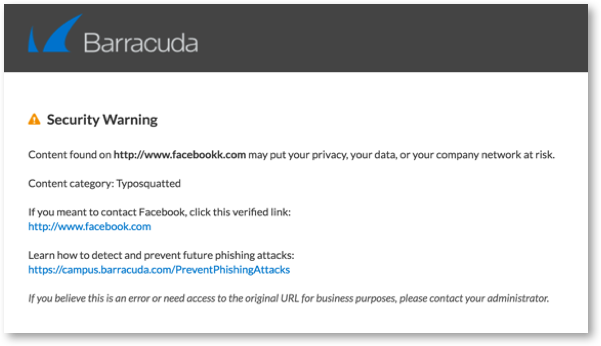 Barracuda email security products use multiple advanced techniques to detect and block phishing attempts. Multiple Barracuda products feature this cloud-based, multi-layer scanning engine as an add-on subscription. It detects advanced malware across multiple vectors, with sandbox analysis to find even previously unknown threats.